10 amazing TierraCast bead aligners in antique silver. 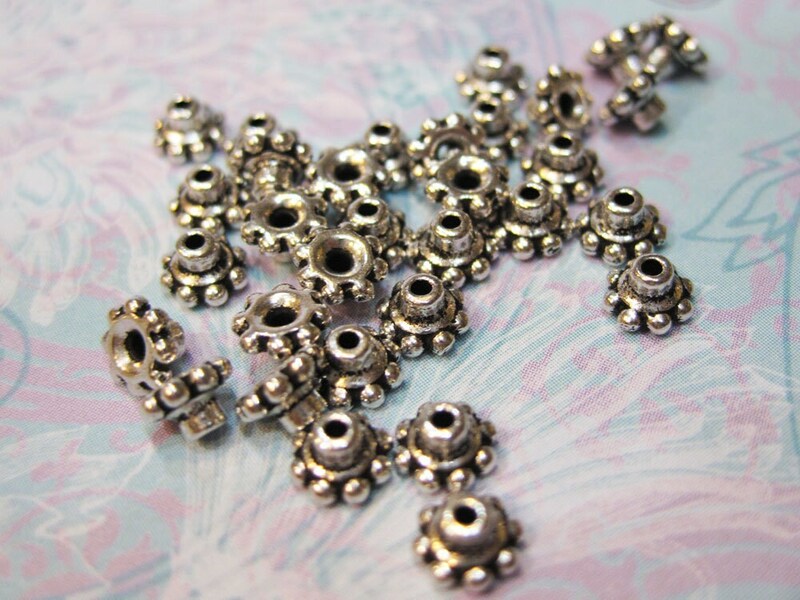 These are great for large hole beads and keeps the bead in place, keeping them from slipping like regular bead spacers would do. Great with your handmade lamp work beads!! TierraCast elements are made of lead free culinary grade pewter. All TierraCast components are made in the USA! Exactly what I wanted...Thanks! Great seller..